Dr. John Hammond is standing in as Asian Aid’s acting CEO until the position is filled (in early 2017). Click here to read about the CEO’s position or to apply by November 21. John has worked for many years as a teacher, a principal and an administrator in the Adventist Education system. John and his wife Sue have been supporters of Asian Aid for many years, a Board member since 2011. Stephen is a commercial lawyer who resides in Sydney. He regularly contributes his legal expertise on a voluntary basis and has worked on the Seventh-Day Adventist Church’s Ethical Standards Committee and assisted with the incorporation of the Greater Sydney Conference. David has held a variety of positions in IT in software development and management at Sanitarium, Hewlett-Packard, Avondale College of Higher Education and Andrews University. He is currently employed full-time as IT Internal Solutions Manager at Sanitarium. He is a passionate supporter of Asian Aid, through the child sponsorship programs, various special projects, and especially over the last six years, through the Cooranbong Asian Aid Op Shop. Jean has an initial primary teaching degree followed by a Masters and Doctorate in Curriculum. She also has a diploma in accounting. She has previously been a principal in small and large K – 12 schools and also a lecturer at Avondale College. She is currently the Director of Education in Greater Sydney Conference of Seventh Day Adventists. Anne is a registered psychologist and has worked for both government and non-government organisations over the past thirty years. She has been a member of a number of not-for-profit boards over the past sixteen years. 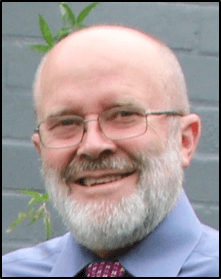 Alan, a director for the Centre of Volunteering NSW, has twelve years experience in managing volunteers and in working with the non-for-profit sector. Kaye has been a supporter of Asian Aid for almost forty years. Kaye has a Bachelor of Commerce with an accounting major. She has been a member of a number of Adventist and Education Boards. Kaye is currently the Business Manager of Prescott Schools in South Australia. Lara has worked as a Project and Event Manager for Inlab International Pty Ltd, and as a Research Intern for Edmund Rice Centre for Justice and Community Education. Lara is a particularly interested in community development and empowerment and in contributing to an organisation that works in partnership with communities to bring about positive change.